You can hear my best recordings on my Spotify page. I have new singles out which are now on Spotify, Apple, Deezer, Pandora, Tidal and other sites. And more coming out on a regular basis – usually once a month. Tips are very much appreciated! 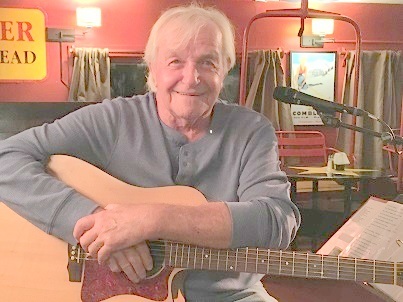 If you are here to purchase CD’s or downloads of my music – which I hope you do – Just click here: https://billmadison.bandcamp.com/ or the “My Music” tab above – then click on “discography” on the Bandcamp page! I highly recommend my new studio album, Only A Dream, Thank You! If you wish to license my music, please visit the link below. Prices can be negotiated to fit your budget! Please sign up and receive a free HiRes MP3 of my song called Barefootin’ Boogie! I never share e-mail addresses nor will I bog down your e-mail. I only send what I believe to be entertaining and informative content. Here is the title song from the new album! Hey, Thanks for visiting! Oh, and don’t forget to tell your friends about me and my music!